File is 1.75 MB. For dial-up connections, this may take some time to download. After clicking "Submit", click on the "Download" button on the following page. Please complete the submission form to begin the download process. Please complete the following survey questions. 1. Which CAD software do you use most regularly? 3. If you were to purchase a rapid prototyping system, when would it be? 4. 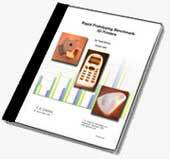 How many prototypes per year do you have produced by a service provider, at approximately what cost? 5. If you are considering purchasing a rapid prototyping system, please list the systems you have considered. 6. Which trade magazines do you read? 7. Which trade exhibitions do you visit? The personal information submitted in this form will not be shared with any other organizations.